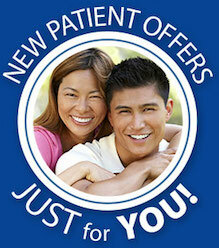 Dental care, in Phoenix AX, that includes treatment for root canals, migraines and oral cancer screening! A critical reason to visit the dentist is to have your teeth cleaned by a professional hygienist. Plaque and tartar develop on teeth over time. Plaque is soft and sticky, but regular brushing can usually remove much of it. However, plaque hardens into tartar, which is beyond the abilities of your typical toothbrush and floss. Tartar builds up below the gumline as well as on the surface of teeth. If plaque isn’t removed, you risk more serious problems with your teeth and gums later. Medical research shows a definite link between untreated gum disease and other serious conditions such as heart disease, stroke, and diabetes. Having your teeth cleaned on a regular basis is one of the best things you can do to stay healthy! Damaged or infected tooth roots used to require extraction, which can cause a lot of problems and should be avoided whenever possible. The good news is that we are highly experienced in advanced root canal therapy. A root canal is a technique to repair a tooth by removing the pulp chamber and replacing it with a filling material. This is often necessary when decay reaches the tooth nerve (or the tooth has become infected), and a simple filling won’t work. Not too long ago, the scenario mentioned above would have required the tooth to be extracted. When dentists began performing root canals, they were quite uncomfortable, and the root canal has received a reputation as something to be avoided. However, with modern anesthetics and technology, the root canals performed at our practice are manageable and often even painless. There is now an FDA-approved drug-free treatment for the prevention of migraine and tension headaches. This little miracle is called the NTI™ device, and it’s available in our practice. It works by relaxing the muscles under the scalp and preventing the majority of headaches. Studies have shown that 82% of migraine sufferers achieved a 77% reduction in migraine occurrences. It’s painless, fast, and inexpensive. 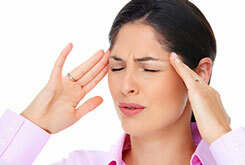 If you endure migraines or know someone who does then be sure to ask us about this exciting treatment. Just as our bodies evolve as we age, our teeth and gums do too. Years of plaque buildup, as well as the consumption of coffee, tea, or tobacco, can darken your smile. Ask us about procedures that can combat these issues. Reduced flow of saliva may be a side effect of medications. There are simple products that can help alleviate this condition. Your fillings can weaken or crack over time. Regular check-ups will allow us to stay on top of your existing fillings. Gum disease and root decay can be major problems with seniors. Daily cleaning and good nutrition are important for healthy gums. If your gums become red or begin to bleed or your teeth loosen, contact us immediately. Are you aware that one American dies each hour from oral cancer? And the mortality rate has barely changed in 40 years? The good news is that there is a 90% cure rate with early detection. We are pleased to offer one of the most effective oral cancer screenings available. 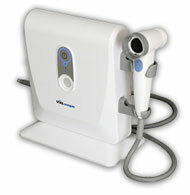 VELscope™ is an FDA-approved oral cancer screening system. We perform the exam using its specially designed light. Any suspicious tissue is immediately and easily visible to the dentist. This screening could be a lifesaver! We use a Piezo Scaler™ to help remove deposits of plaque and calculus (tartar) from your teeth, especially under the gumline and in deep pockets, in the case of gum disease treatment. This hand tool operates using high-frequency vibrations to enable us to remove deposits on your teeth faster than with regular scaling instruments. Your teeth may have never felt so clean! As a bonus, most patients report less discomfort with the Piezo Scaler. If it’s time for your next cleaning, or if you’re ready to schedule a no-cost/no-obligation consultation, call us now at (602) 464-7211.